Overburdened cabinet spaces and messy drawers stand in the way of potential MasterChef moments. What’s more, a chaotic kitchen wastes time – making the home chef less inspired and more frustrated. Here’s how to plan an efficient workspace in the busiest part of the home. 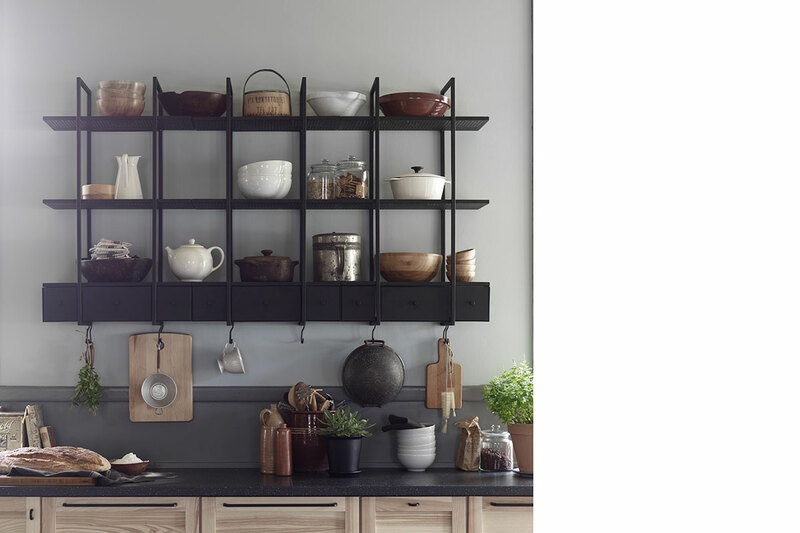 Although it’s not a conventional choice among homeowners, incorporating open shelving into the kitchen makes a refreshing alternative. 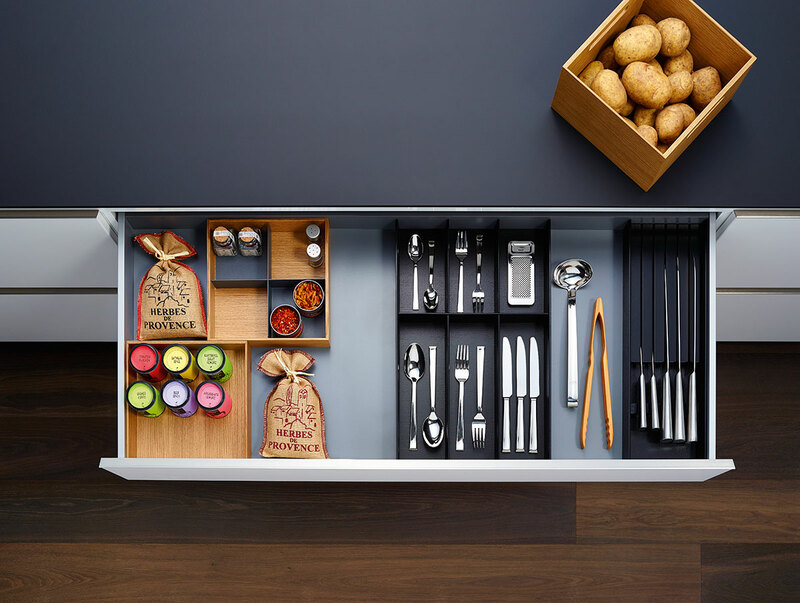 It feels airy because of the lack of cabinetry, but most importantly, family chefs get to enjoy a clear view of and instant access to their serveware and glasses – saving precious prep time. 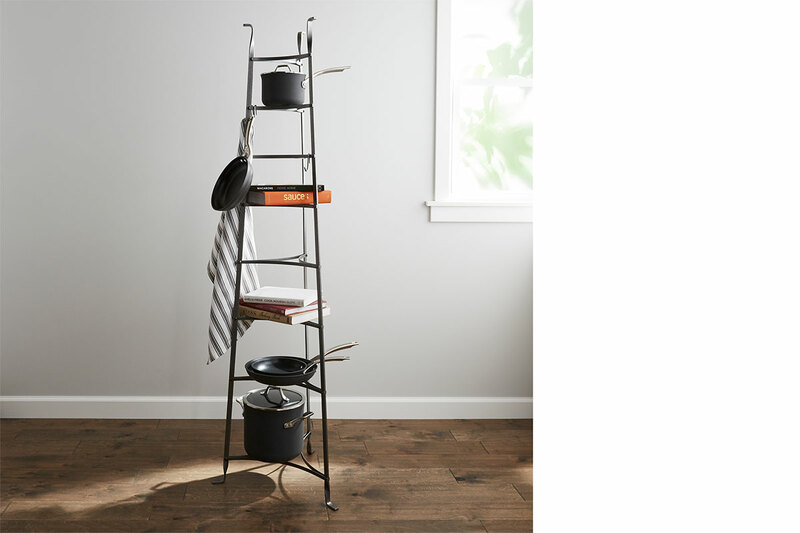 There’s a rack for everything, from pots and pans to knives and spice jars. They help corral similar items together, so you know exactly where to locate what. Bump up the efficiency factor in your kitchen by placing most commonly used items such as the condiments and cooking utensils closer to the cooktop. Rest assure the calamity in your cabinet drawers can be saved – all thanks to smart modular systems in the form of drawer organisers. These lifesavers can easily be configured to suit your storing needs and according to your ergonomic preferences. Time spent hunting for missing tools is now time gained for bonding with the ones that matter most. Cleaning tools belong under the kitchen sink – one of the trickiest spots to take advantage of. Handy home dwellers resort to DIY, while some simply let the area be. Every bit of space is precious, which is why we should let you in on one of our best-kept secrets. 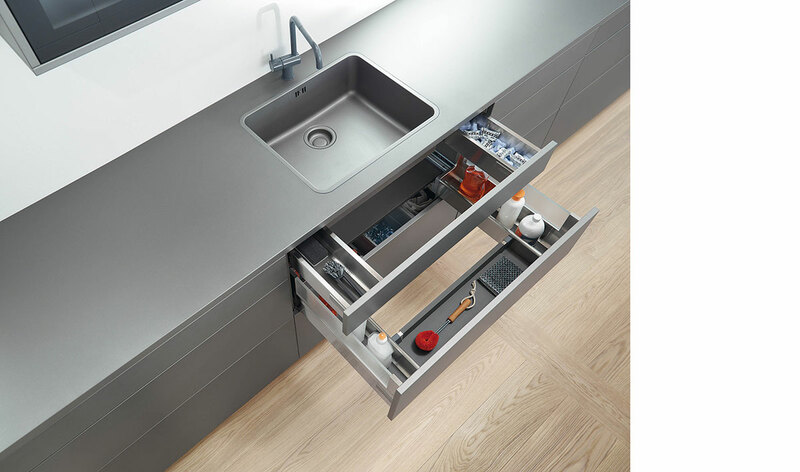 Fittings specialist Blum came up with a brilliant drawer extension that fits under and around your sink to fully utilise every inch of space. This way, detergents and sponges can be kept close by, yet out of sight. Overhead cabinets are known for their yawning span of space that makes it difficult to manage. Plus, you’d probably need to rely on a step-ladder to access the upper reaches of your cabinet. 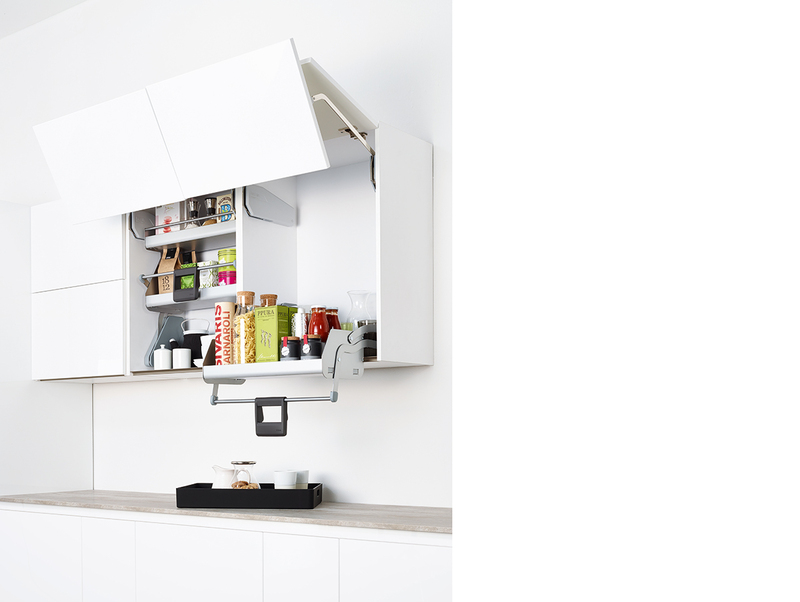 Häfele takes it to the next level with a brilliant solution that doesn’t just ensure the contents of your cupboard are in order, its pull-down system helps bring them down towards you. What’s also great is that you don’t need a major renovation but a mere intervention for this move. This was adapted from an article originally written by Fidz Azmin published in the November 2017 issue of SquareRooms.